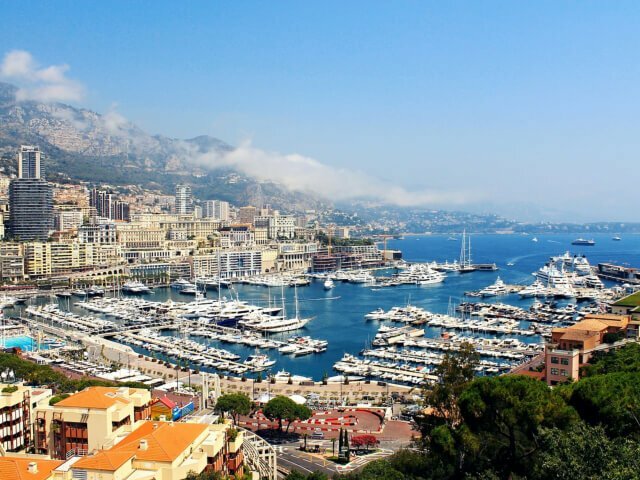 Whilst watching the Monaco (F1) grand prix, have you ever been distracted by the sights of the beautiful yachts moored up in the waters beside the track? Dreams of living life in the fast lane can’t be helped. So, have you ever wondered what these boats are like up close? Ever wanted to step aboard and imagine what it would be like to live the lifestyle on one of those splendid yachts? If you have never been sailing before then a yacht charter is an ideal way to experience first hand what it’s all about. Your booking needs to be arranged so that you have a Skipper and crew (some of which, depending upon the nature of the charter, may cook and serve food / drinks) so you will be in safe hands throughout your stay aboard and on the open waters. You can sit back, relax and enjoy the sun, sea air and fantastic views whilst out on the water. If you have a few sailing hours under your belt and you would like to build your confidence and gain more experience, you can really get hands-on with a Skipper only charter. You, and your guests, effectively become the crew for your time on board so you can take the opportunity to get really involved and put your theoretical knowledge to practice under the guidance of an experienced Skipper. Most charters offer a wide range of boat make and model in all sizes, so your choice can be made to accommodate the type of sailing holiday you require. Looking to buy, why not spend the week on your number 1 choice? In general on NickyNoo.com, we are referencing sailing yachts, but remember there are also motor boats, catamarans and gulets available, if you want to try something different – there are so many options. No single holiday through a yacht charter need be the same. The choice of how you wish to organise your time aboard, where and when you want to sail, who you sail with, or when you want to eat and drink is entirely up to you. Each trip can be tailored to your exact requirements. Can’t decide on which town or beach resort to stay? Bored of the same view out of your hotel or villa window every morning? A yacht charter gives you the opportunity to move from port to port, sail down the coast, moor up at your own ‘private’ beach, or choose your mooring for the night with the guarantee of a different view each morning. There are thousands of miles of coastline to explore around the world with many different features; beaches, cliffs, caves, headlands, spits, sand islands and lagoons. Your yacht charter break is a fantastic way to discover more and even gain access to areas only possible on the water. The options are endless. A great reason to charter a yacht is that your holiday itinerary is entirely your own choice. Set off in the direction you wish, choose when & for how long you wish to sail and where you wish to stay, especially, as the case may be, if you find that beautiful secluded bay that is just screaming out for you to stay that extra day / night. Social Interaction or Avoid the crowds? How much you wish to interact is entirely up to you. Holiday as a couple, with family & friends or use it as an opportunity to meet new people and join an organised group charter. Lifetime friendships have developed through the ‘yachtie’ community as it has always been an easy environment in which to socialise. Feel the need for some nightlife, moor up in the marina and then head into town for the party (or why not bring the party to you on the yacht?). Don’t like the crowds? If you just wish to get away and relax, enjoy some solitude, then you can do just that! Your charter company will have expertise in all aspects of yachting and will be able to guide and advise you from the moment you first enquire about the possibility of booking a charter holiday. Whether it’s your first time or you are an old salt, they will work with you to choose the ideal yacht, cruising locations and itinerary and they will ensure you have all you need to make the most of your sailing experience. We thought we should include cost, but suggest it’s used as a relative measure. The range of prices for a yacht charter will vary quite dramatically based upon your choice of yacht, associated services and length of time aboard. It goes without saying, pitching together with friends to charter a 80ft+ super-yacht is vastly going to exceed the cost of a 36ft cruiser for two. However, a weeks’ charter, on an average sized yacht, is no more expensive then a 5* beach resort holiday or a trip on a luxury cruise. Also, the relative cost [of a weeks’ charter] in terms of the benefit gained, in comparison to ownership, has it’s appeal. A few good reasons why it is worth considering a yacht charter. As you would with most holidays it’s worth doing a bit of research yourself and as we mentioned above the charter companies can offer all the guidance and advice you need. Over the next few weeks we’ll share some of our tips on the ways to get the most from your charter experience, so keep in touch. SailingEurope.com | How to Charter a Yacht? Boatbookings.com | Why Charter a Yacht? I would love to charter a private yacht. I can’t really say that it would be furthering my sailing experience, since I have no sailing experience, but I’d love to start. I like your suggestion at the end about sharing it with some friend to cover the cost. I know I can’t afford it myself, but maybe with some friends it would be possible. Thanks for the idea!